If you’re a person who lives in UP and preparing for govt. Exams then there’s a good news for all those aspirants. 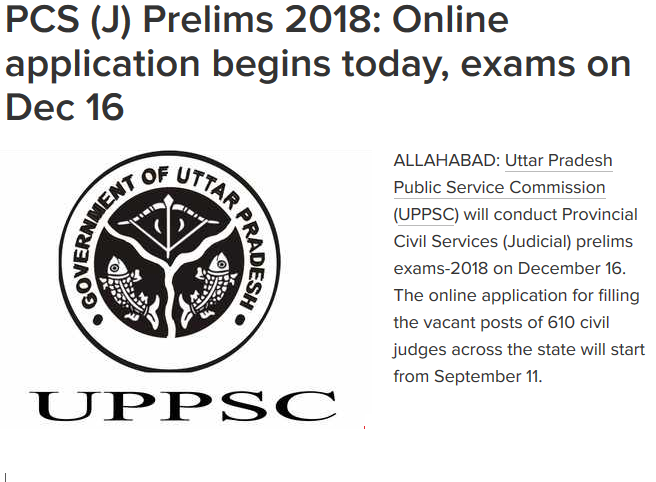 Because the UP public service commission has released a notification as on 11 September 2018 for UP Civil Judge (Junior Division) examination. This UP PCS J 2018 Notification can be viewed and read by all the aspirants on the official website of the commission. However, here we have covered all the UP PCS J 2018 Latest News. There are many things which has been covered by this notification released by the commission like vacancy details, syllabus etc and here we’ve covered all those topics in a brief way. ( इस पोस्ट के माध्यम से आपको की सारी जानकारी जैसे syllabus, exam pattern , प्रवेश पत्र , previous year question papers, best exam preparation books. आदि प्राप्त होगी. As per the notification released by the commission you can see that there are currently 610 vacancies available for the junior judge post. But this vacancies can be increased or decreased as per state government requirements. But as of now you can see there are 610 seats available for this post which will be further divided according to reservation basis. However, if you want to know more about UP PCS J Vacancy Details then you can go to the official site of commission where you can read the whole details. One of the important things about UP civil judge examination is its syllabus. Many aspirants who are preparing for govt. exams know that government always amends its examination pattern and syllabus and that’s why it is very important for an aspirant to check UP PCS J Syllabus and Exam Pattern before starting a preparation for this post. One of the hardest part of this examination will be the third and final round of the examination which is called interview. When you cleared pre and main exam of UP civil judge examination your appointment and merit will be decided by the top authority by taking your interview. Many candidates come up to this stage but failed to pass this interview because the top authority asks those type of questions which will test your dignity, character and personality and it’s very hard to go under through this sage of examination. However, you can prepare for the interview by developing strong communication skill, confidence etc. This interview will be of 100 marks and the marks will be allotted according to your performance in this interview. So these is the UP PCS J Latest Exam Pattern which now you must’ve known however if you want to know more about each of this subject then you go to then official site of the commission where you can see the exact detailed syllabus of each subjects of both preliminary and main examination. If you’re a person who is searching for UP PCS J Syllabus in hindi language then here you can refer the above chart which we’ve written to describe the whole syllabus of this exam. However if you’re not that much familiar with english language then you can also download UP PCS syllabus pdf in hindi form the official website of commission. Syllabus or Exam Pattern को हिंदी में समझने के लिए ये video जरुर देखे और कुछ सवाल के लिए निचे comment करके पूछे . When you’re preparing for any type of govt. 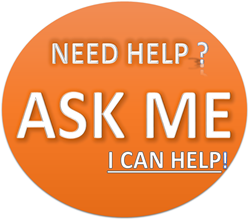 Examination the most important thing which you will always be looking for is its requirement criteria. When UP public service commission released the notification regarding the Up civil judge examination it also mentioned the requirement criteria. Here we have tried our best to explain UP PCS J Eligibility Criteria ( Age limit, Qualification ) and we hope you will understand it in this manner. Nationality– If you’re going to apply for this exam then first you shall be an Indian citizen because non Indians cannot appear for this examination. Age Limit– One of the important thing about any type of civil examination is its age limit* because government will not want to hire a person who be in his 40s or 50s. That’s why to to eligible for this examination your age shall be in between 22 to 35. *note– Age relaxation has been provided to the reserved category candidates and if you want to know further then you can check out the info about it on official website of the commission. The aspirant must’ve a bachelor’s degree from an eligible university plus the candidate must’ve enrolled as the advocate. Knowledge of the Language- The candidate shall possess a wise knowledge of Hindi and that too in Devnagri calligraphy.